Marcela is an extraordinary character. She’s timid, taciturn, modest. She’s also uneducated and poor. But in her sad, dark eyes, there’s understanding that doesn’t come from knowledge, and ambitions that don’t come from social status. She speaks the most when she doesn’t speak at all. Her story fills the center of the movie. The themes of love, life and death are filtered through it. She experiences all of it, which makes her richer and stronger inside. 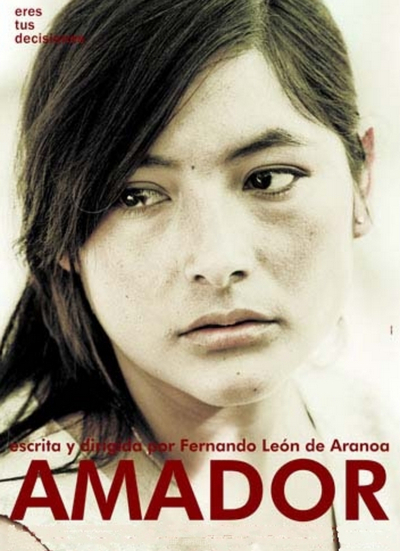 Marcela (Magaly Solier) lives with her husband Nelson in a poor neighborhood. They sell flowers in the street and barely can afford food or rent. In the opening scenes, we see that she’s intending to leave Nelson (Pietro Sibille). She no longer sees any future by his side. It’s not only the money, or rather the lack of it. And it’s not the lack of love, either. He shows her affection occasionally. She simply wants more form life. There’s another person in her life: her unborn baby. She must learn how to love him although she’s full of doubts and fears about their future. Finally, there’s Amador (Celso Bugallo), an old and sick man, who requires a constant care. He appears cold and distanced, at first, but later on, we find out there’s an amazing love story with him, revealed through letters.